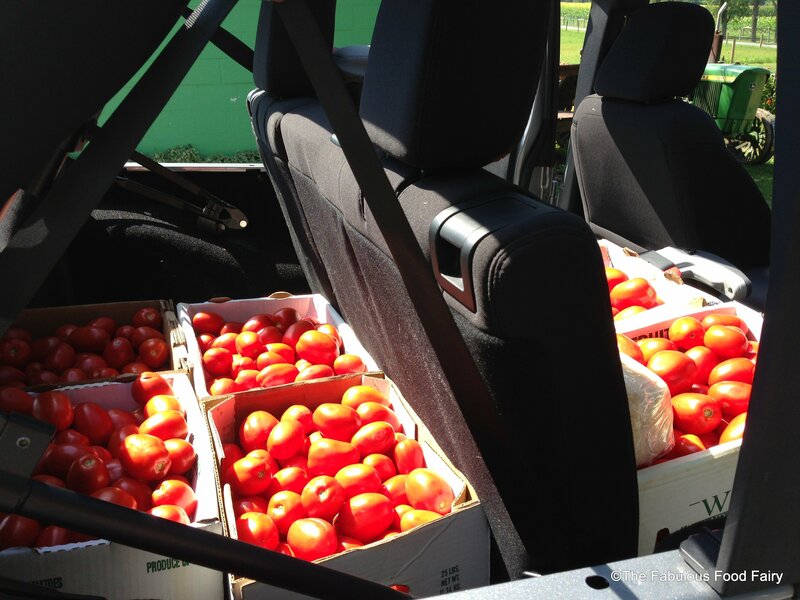 My husband says that I have a tomato problem. He uses words like “addiction”, “compulsion”, “obsession”. 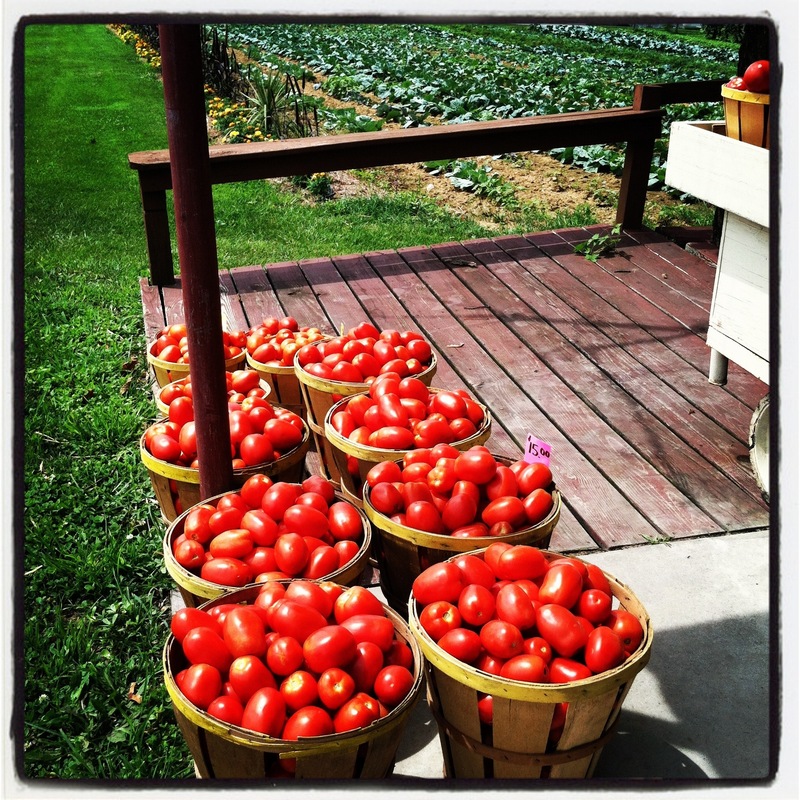 Why can’t my loved ones embrace my annual hobby of stalking my favorite secret farm stand until the Romas are ready, then packing my car full of red, juicy little friends, and crafting some of the finest homemade sauce (or “gravy” as my Italian friend, Lisa, corrects)? No one else we know has a basement stockpile of tomatoey awesomeness!! My family is lucky, damn it! I’m a pretty simple girl. I do not like shopping. The mall is not my happy place, and the outlets, which are right down the road from my farm stand oasis, make my heart palpitate with anxiety! I prefer to cook, and grow, and relax. 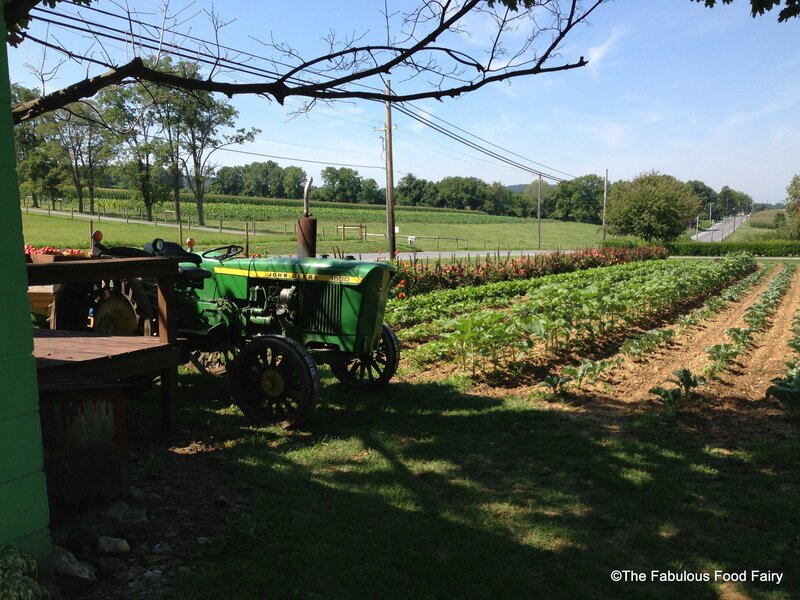 In an ideal world, I’d live on a small farm, next to the beach, and I’d have enough money to stay home with my kids and cook fabulous meals. It’s not a lot to ask. But now, the season of saucing is upon us. 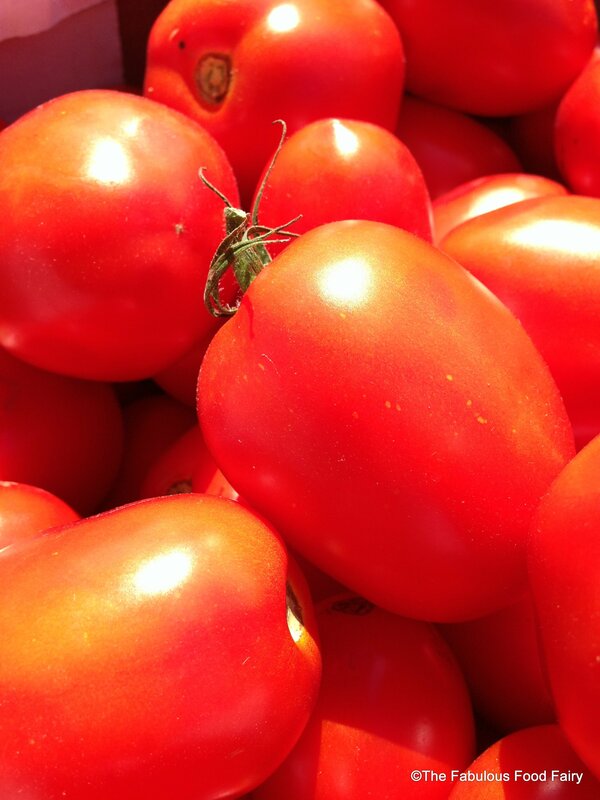 The Romas are ready; this is shopping that brings me joy! I woke up this morning, recruited my sister, Rori, who is crazy enough to join my adventures, and off we went. The sun was out, the breeze was warm, the top was down, and the doors were off. It was heavenly. Our morning was awesome. Kid & husband free, we popped into several farm stands snatching up peppers, pickling cucumbers, cheese, blackberries, and the coveted Roma tomatoes. I have a super secret special spot that grows them to perfection. Here we bought SIX BUSHELS. As I transferred them from the baskets to cardboard boxes, a calm washed over me. This is my happy place, this is my happy place, THIS IS MY HAPPY PLACE!! After we loaded them into the car, I stood to ponder our stash. No buyer’s remorse. I had buyer’s delight! It is time to sauce. 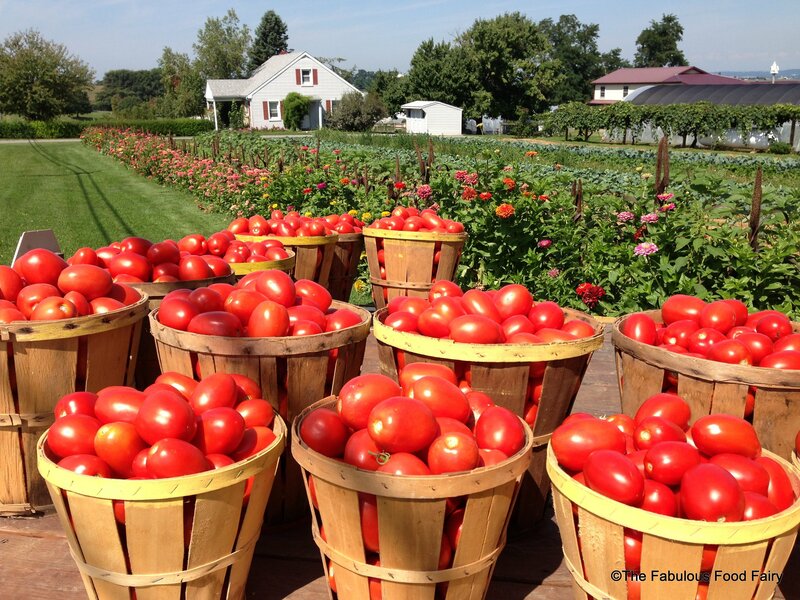 I totally thank God often that I live in such a beautiful place on Earth, with fertile soil, and Amish neighbors who grow the BEST ROMA TOMATOES EVER!!!! I will totally own my errors. Two years ago I didn’t make enough and we ran out in January. Last year, I made a little too much, and I still have 8 jars left. I bought less this year. I assisted my sister in securing a few cases for herself, and I am willing to help you all as well. There you have it. I may be a little obsessed, addicted, or compulsive, but Hell, it’s a lot of fun, and so, so good! 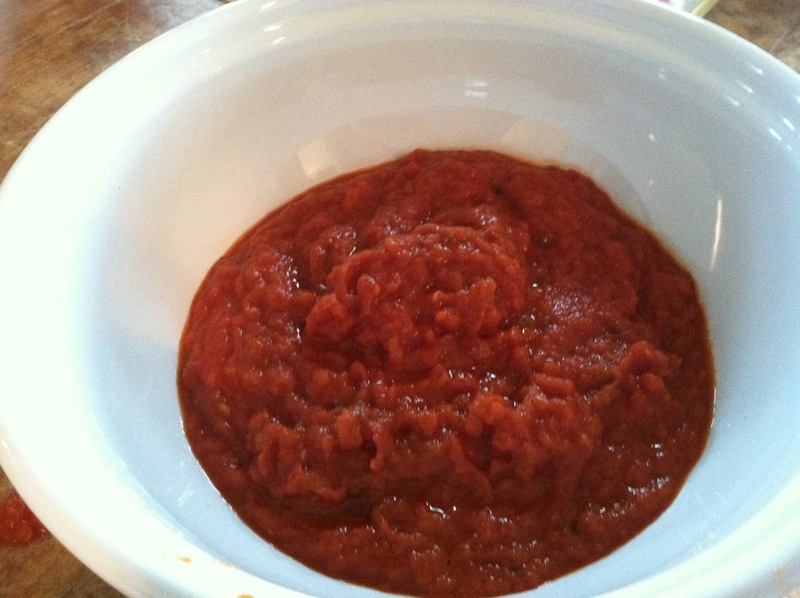 If you need to know how I make my sauce/gravy, check out my Positively Perfect Pasta Sauce! 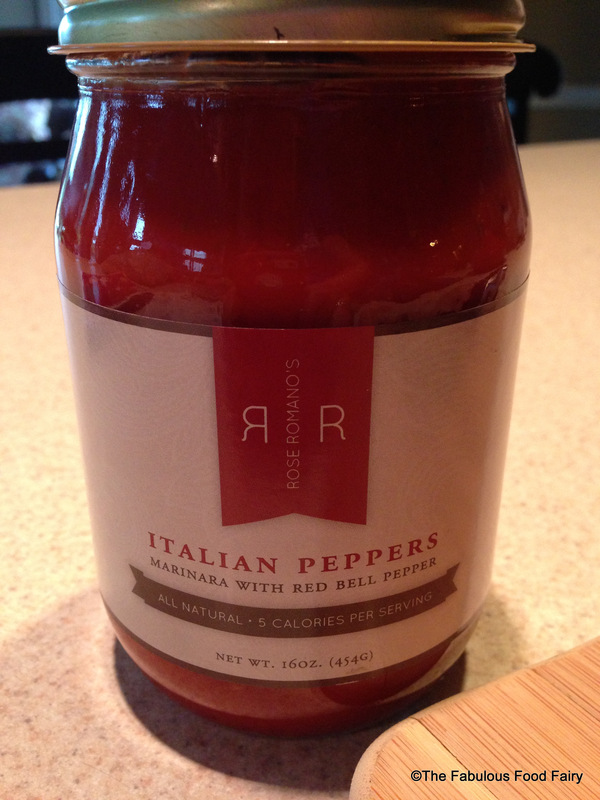 Recently, the kind people at Rose Romano’s Italian Peppers sent me a few jars of their tasty sauce. Wow, am I a lucky girl. I was amazed by the beautiful presentation of the box I received, and I was intrigued by the recipes suggested in the insert. 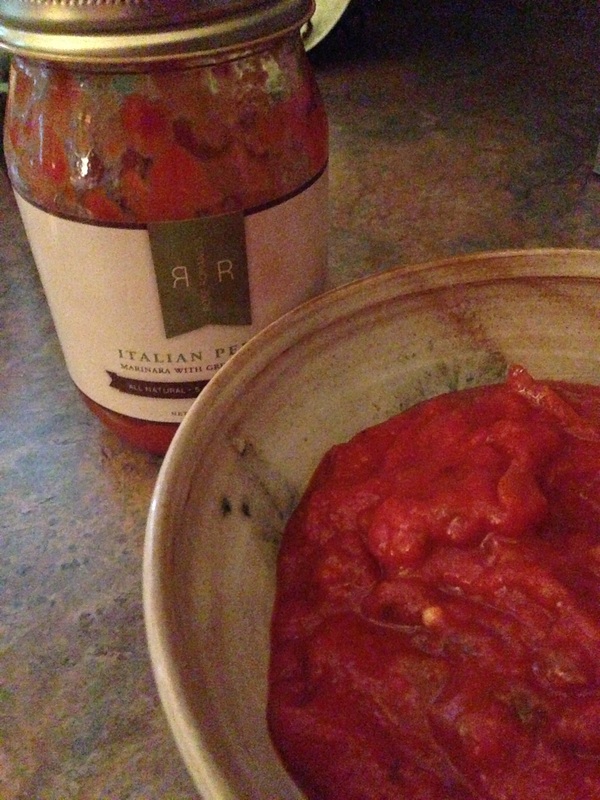 What I learned is that Rose Romano’s is actually more like a condiment, rather than a pasta sauce. As a coveted family recipe, owner, Dr. Marshall Angotti, created this gluten-free, low calorie, goodness as the perfect complement to your simple homemade dishes. 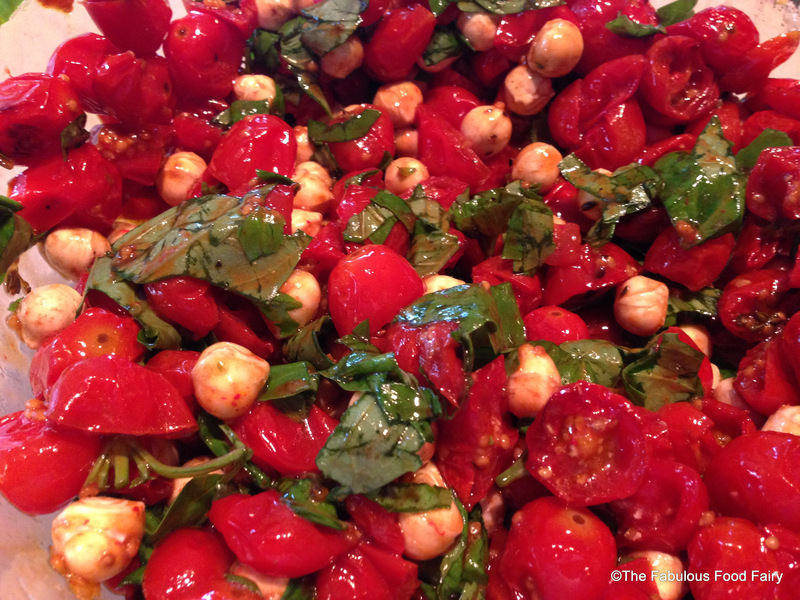 Rose Romano’s Italian Peppers comes in two flavors, red pepper and green pepper, and the recipe possibilities are endless. My biggest challenge was to figure out how I was going to use the red pepper sauce that I received, because the cookbook and menu created by Dr. Angotti is substantial! I decided on making a simple bow tie pasta tossed with garlic, olive oil, fresh basil, and salt & pepper. Once the pasta was seasoned, I spooned it onto a plate, topped it with the red pepper sauce, and served it with a side of crusty garlic bread. 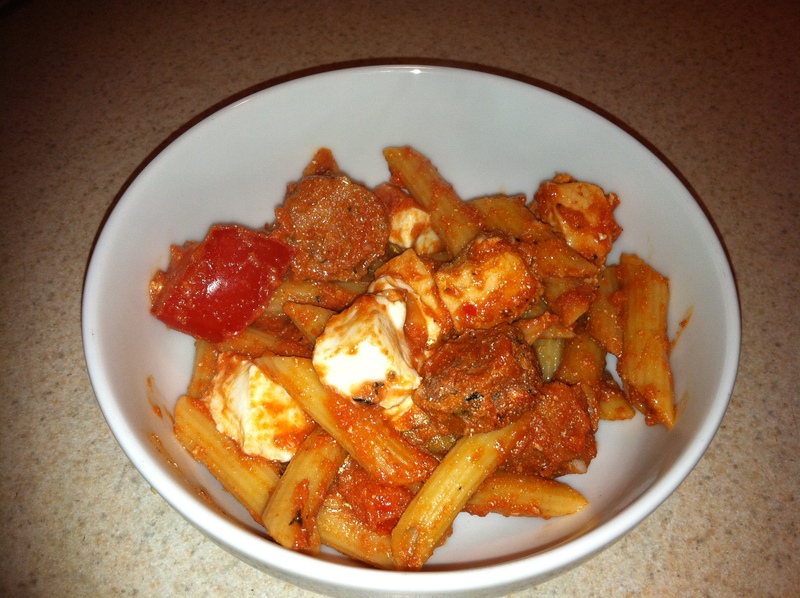 What a great, easy weeknight meal, even my girls loved it! We all went to bed with well nourished, happy bellies. The next challenge came with how to serve the green pepper sauce. I immediately thought of my nephew’s upcoming graduation party. I knew that my sister was making 100 pounds of Freakin’ Fabulous Roasted Pork for sandwiches, and a sandwich bar was the perfect stage for Rose Romano’s green pepper sauce. 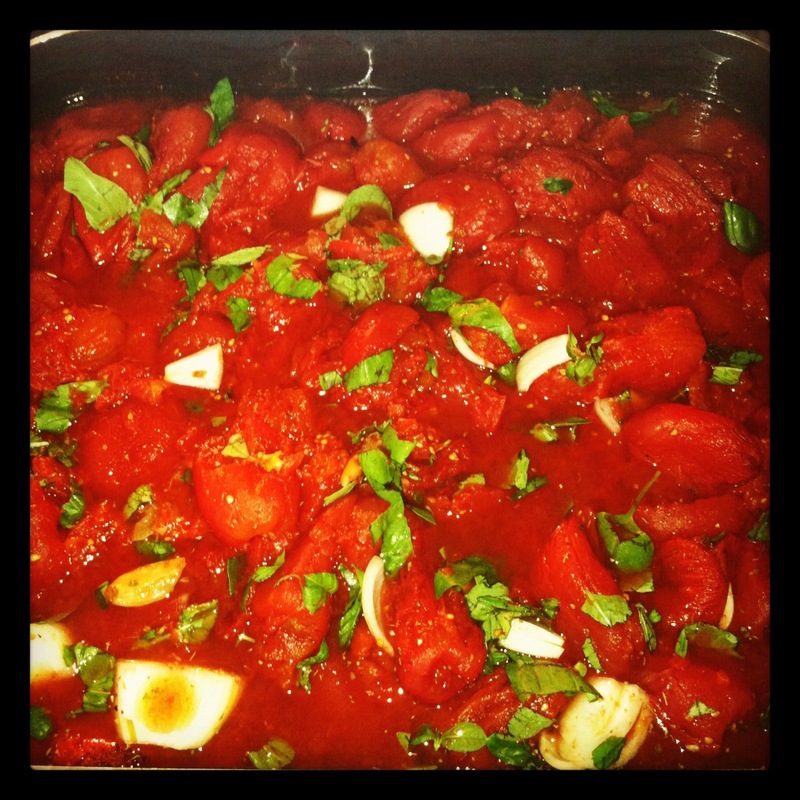 Along with traditional bar-b-que sauce, we offered a bowl of warm Rose Romano’s. The green pepper sauce was a sweet compliment to the savory garlic roasted pork. 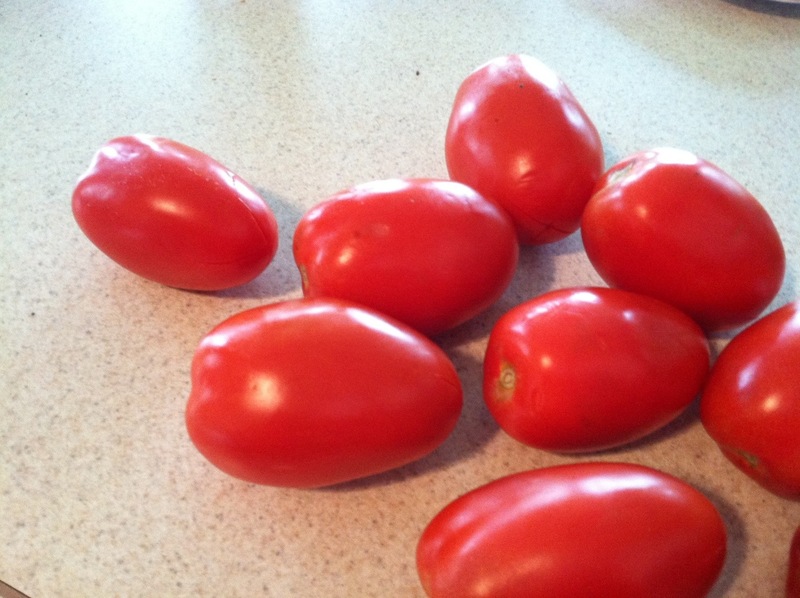 After my initial successes, I am excited to try some of the recipes suggested by Dr. Angotti. His recipes suggest topping almost anything with this unique food accessory, from hamburgers, to grilled chicken, to eggs. The ideas are creative as well as simple and healthy. If you are looking for a new way to dress up a boring dish, or need a quick and easy gift idea, consider Rose Romano’s Peppers. You can order online or locate them at a store near you by visiting http://www.roseromanos.com. Disclosure of Material Connection: This is a “sponsored post.” The company who sponsored it compensated me via a cash payment, gift, or something else of value to write it. Regardless, I only recommend products or services I use personally and believe will be good for my readers. I am disclosing this in accordance with the Federal Trade Commission’s 16 CFR, Part 255: “Guides Concerning the Use of Endorsements and Testimonials in Advertising. I’m getting together with some ladies into neighborhood. 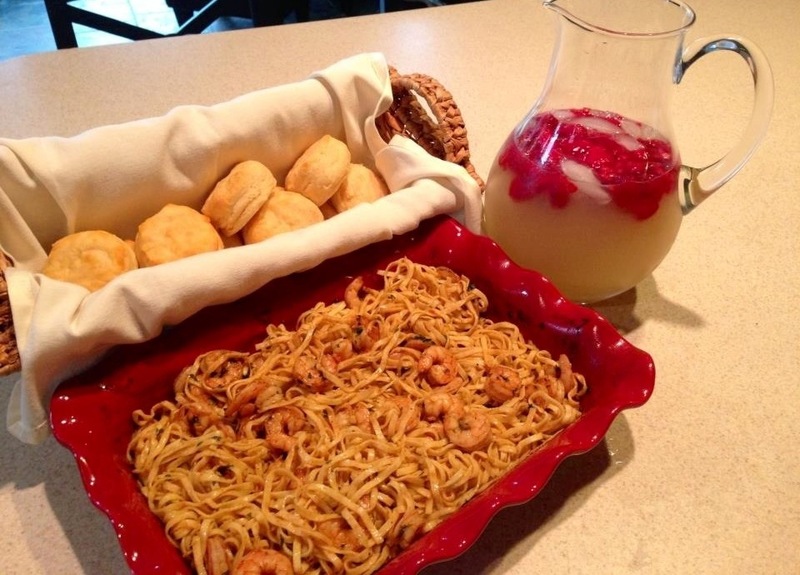 On the menu is Spicy Shrimp Linguini, buttermilk biscuits, and raspberry margaritas! Spaghetti and meatballs may be the greatest form of comfort food. Sometimes you crave it on a cold, blustery day when you are looking for something to warm you from the inside out. And other times, I think it is the perfect way to fill a belly after an exhausting summer day at the pool. The bottom line is that this is a great go to meal that is sure to please! 1. Put 2 lbs. of ground beef in a large mixing bowl. 2. Mince the garlic. A good garlic press is essential to any kitchen. You would be wise to invest in a good one. 3. Add the remaining ingredients. If your kids like to cook with you, this is a good task for them. I know that my little helpers like to help me measure and “dump” it all in the bowl. 4. Use your hands (or your stand mixer if the thought of raw meat skeeves you) to blend the mixture well. 5. Roll meatballs to about the size of a golf ball. 6. Place meatballs in even rows onto a parchment lined baking pan. 7. Bake about 30 minutes at 375. 10. Drop cooked meatballs into a boiling pot of Positively Perfect Pasta Sauce. Serve over spaghetti, sprinkle with Parmesan cheese, and a big slab of garlic bread! 2. If you are skeeved by raw meat, use a stand mixer on low speed until blended. 4. Place meatballs in even rows onto a parchment lined baking pan. 5. Bake about 30 minutes at 375. 6. 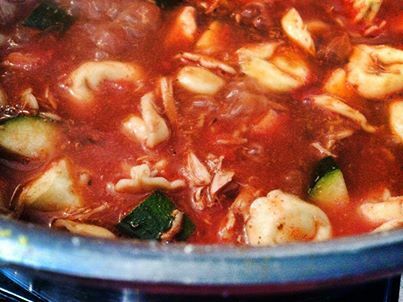 Drop into a boiling pot of Positively Perfect Pasta Sauce. 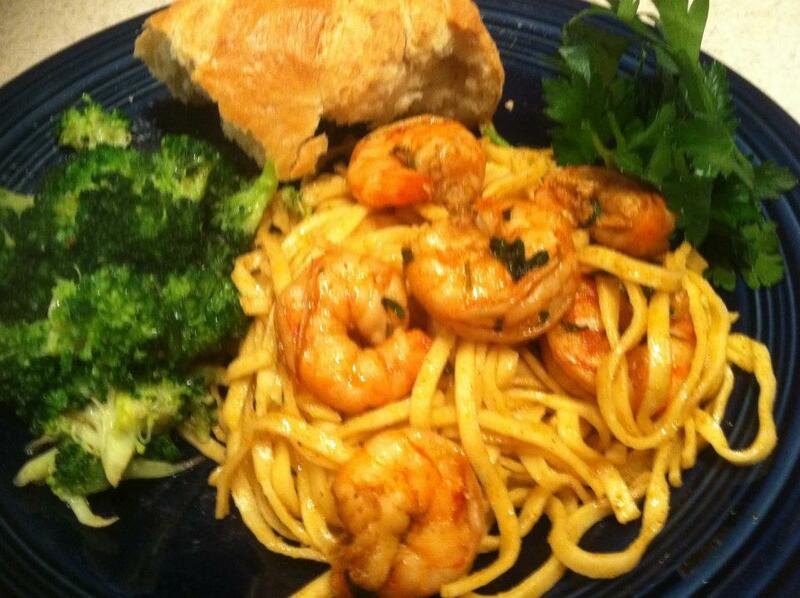 **serve over spaghetti, sprinkle with Parmesan cheese, and a big slab of garlic bread! 30 lbs. down…90lbs. to go. That is savory and HOT!!! 1. 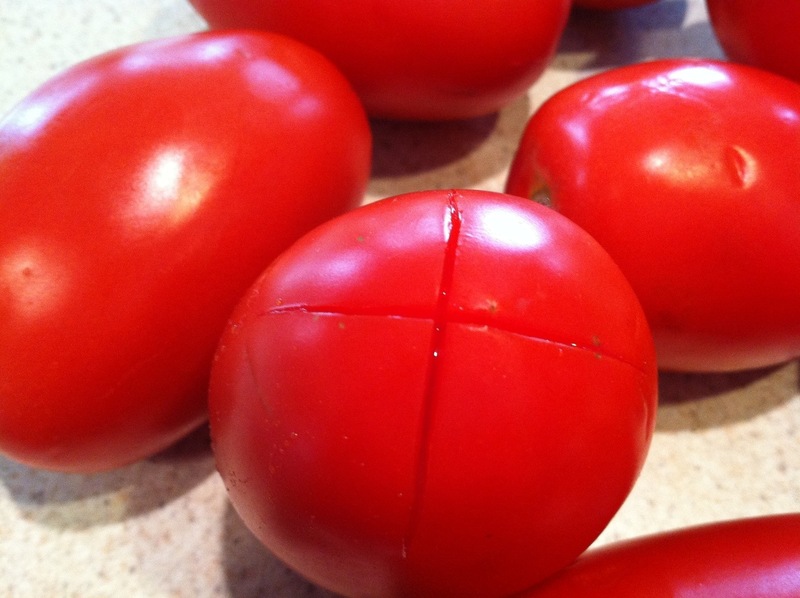 Wash tomatoes, remove the core, and slice a shallow “X” on the bottom of each tomato. 3. Remove with tongs and drop in ice bath. 4. 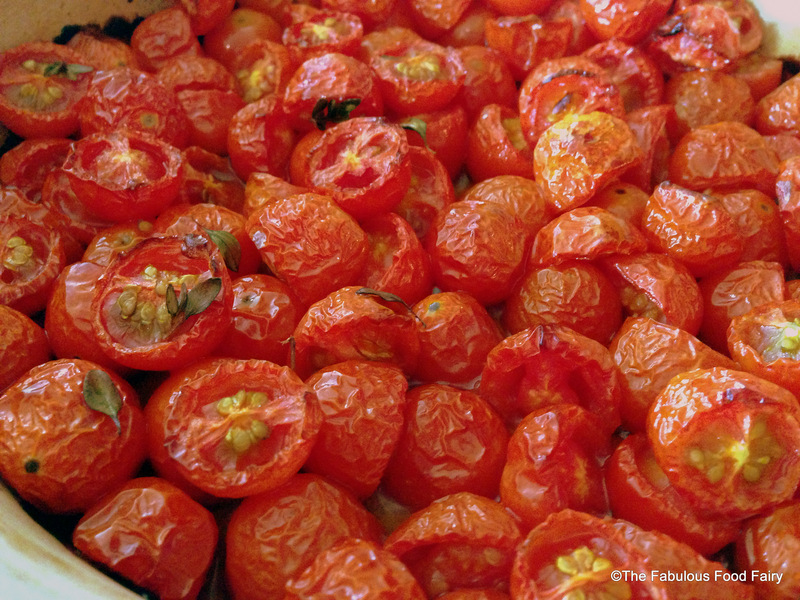 Pull tomatoes out of the ice bath and slip the skin off. 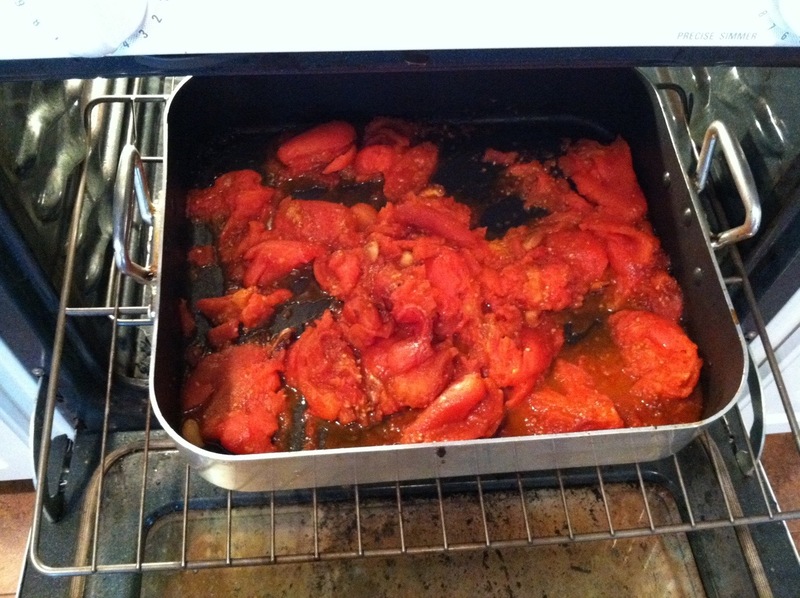 Discard skin and place tomato into the roasting pan. 5. 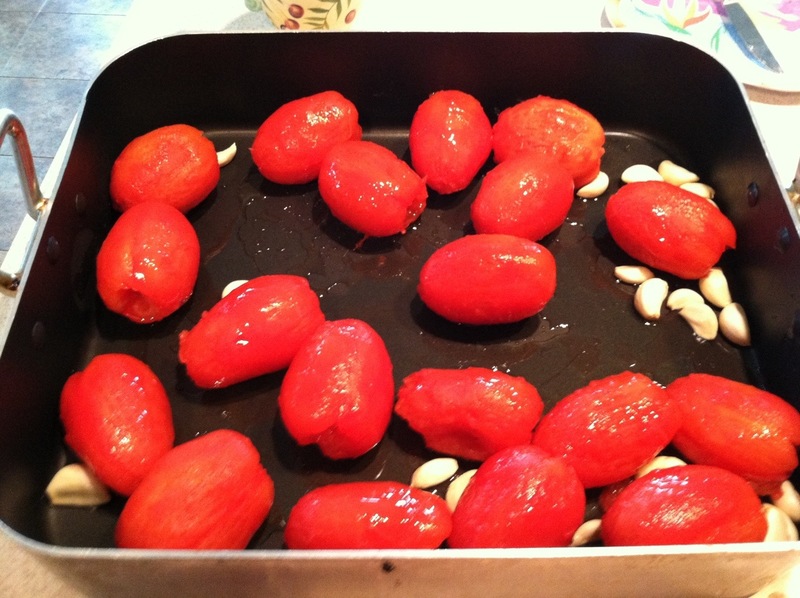 Once the tomatoes are skinned, add olive oil, onion, and garlic to the pan and mix. 6. Place in the oven at 425 degrees and roast for about 30 minutes. 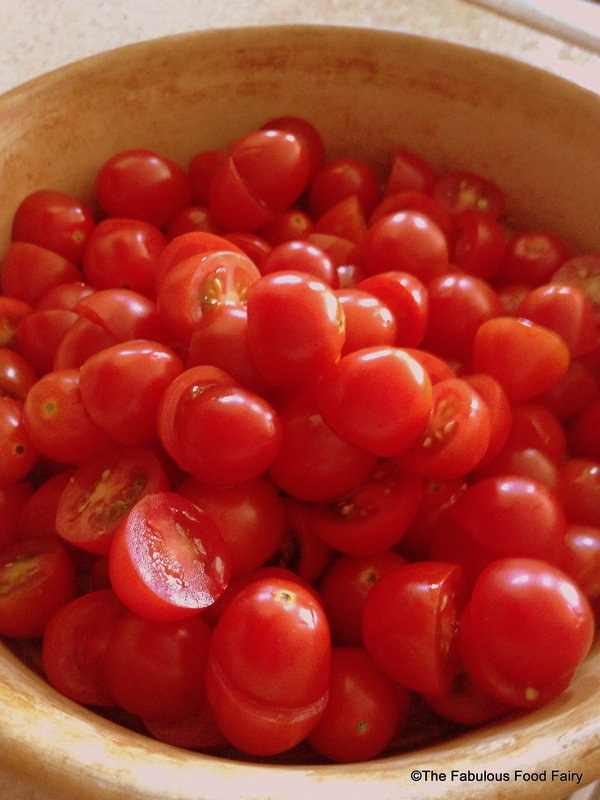 Tomatoes will start to break down and get browned on the bottom. Garlic should also be soft and browned. 7. Add basil, bay leaves, oregano, salt, pepper, and sugar. Roast for 10-15 more minutes. 8. Remove from the oven and puree with a hand blender. 9. 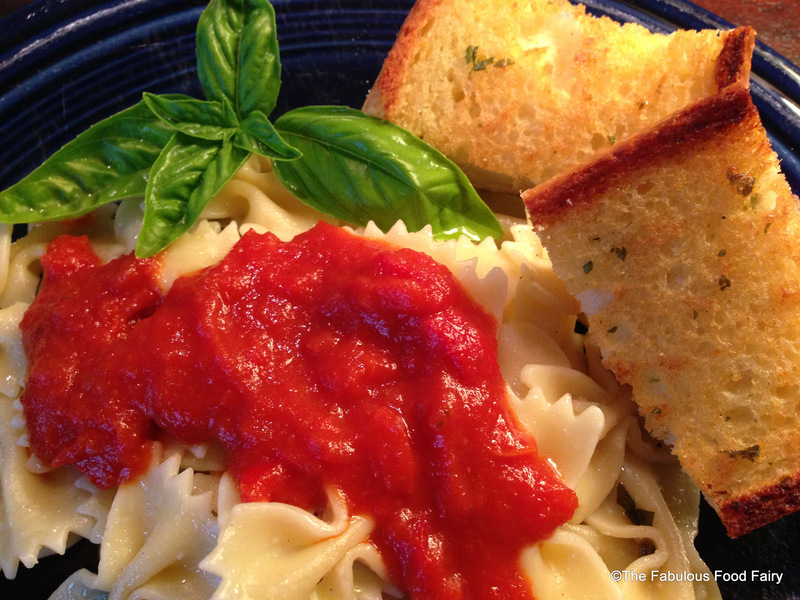 Serve over pasta or with fresh garlic bread. 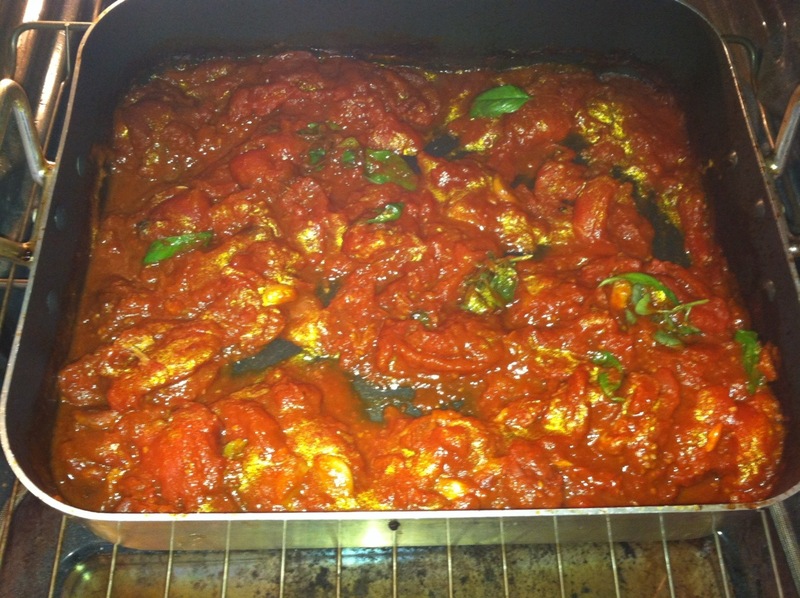 • You can also add cheese, such a parmesan or Romano, or meat to individualize the flavor. A recipe from the Fabulous Food Fairy. In a large skillet, brown chicken in olive oil for 5-7 minutes. Toss all of the ingredients in the pasta bowl and bake at 375 degrees for 30 minutes. 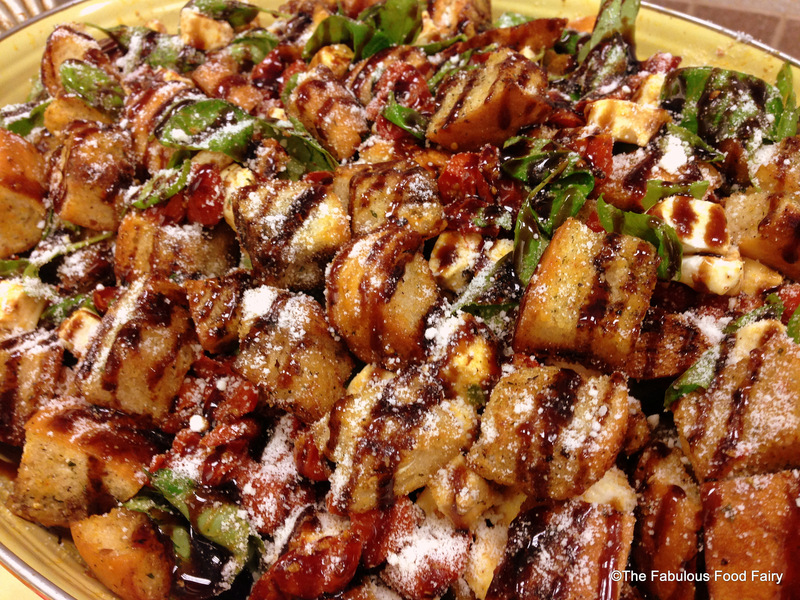 Remove from the oven and tuck chunks of mozzarella throughout the warm pasta.